The Doctor and Romana are staying in an exclusive hotel at the French Riviera in 1929 while the Doctor tries to catch up on his painting and Romana continues writing her thesis on the Doctor. But why does Madame Arcana keep on insisting that the stars do not shine properly? Why are there cave paintings on the beach depicting animals from the planet Saiph? Who has stolen Binky Blaine’s copy of an Agatha Christie novel? What is in the mysterious shipments being delivered to Mister Crane’s villa? And why did socialite Anne abandon all her usual reserve and dance the Charleston like a wanton hussy? Well, if you are wondering what connects all of these seemingly disparate occurrences together, then you’ve got more interest in the proceedings than any of the characters in this play. The Stealers from Saiph sees a new voice joining The Companion Chronicles – Mary Tamm reprising her role from the Key to Time season as the original Romana. This is the first time Tamm has played Romana in a Doctor Who story since 1979. I personally prefer Lalla Ward’s Second Romana, but all forms of Romana are fantastic, so I was eager to hear this release, which (unusually for a Companion Chronicle) does not feature any guest voices. Mary Tamm discusses in the release’s special features how it was enjoyable to bring back “her” Romana, the slightly more haughty and disdainful incarnation from before Destiny of the Daleks. But distressingly, the script doesn’t actually do this at all. Written by Nigel Robinson, himself a long-ago figure returning to Doctor Who (he last penned 1993’s novel Birthright), it feels more like a Second Romana story: Romana in this story is kind, deferential, and concerned with the feelings of the humans around her, not the ice-queen of The Ribos Operation at all. Still, it is the actor in the role that counts most when it comes to incarnations of Time Lords, and Mary Tamm does not disappoint, effortlessly recreating her role from thirty years ago. She also performs all of the characters in the story, which occasionally gets confusing, especially as many of the characters are upper-class English without much to distinguish them. But most of the guest characters have distinctive accents, and though Tamm’s Greek accent as Madame Arcana is a little obnoxious (or maybe it’s just that Madame Arcana just seems to repeat the same line over and over again), she does well in most of the other parts, especially the American Mister Baines. My favorite, however, was Tommy Creighton, a breathless 1920s type so familiar from productions such as Jeeves and Wooster, and who Tamm plays with a suitable amount of gusto and “What ho!”. Less successful is the story. Some hour-long Big Finish audio stories suffer from having a slow build abruptly cut off as the ending arrives, but this one doesn’t even have that. The first episode is a tedious array of apparently unrelated scenes: Madame Arcana keeps trying to show the Doctor her star charts, the hotel guests fret about stolen items, the Doctor looks at some cave paintings. We as listeners know these all have to be connected, else they wouldn’t be in the same story, but there’s no such indication in the story itself, and thus no sense of urgency for its characters. It’s a bit like the first episode of Black Orchid except even less interesting because nothing catches the Doctor’s interest – even upon seeing animals from Saiph in a supposedly prehistoric cave, he doesn’t start to actually do anything, instead spending his time avoiding dates with the crank soothsayer Madame Arcana. I always enjoy a bit of the 1920s, and the beginning of this audio charms with its recreation of the era’s upper classes relaxing, but after a while I started waiting for something, anything to drive the narrative other than Anne’s romantic awkwardness and dancing the Charleston. Things finally heat up at the end of episode one, and from them, this story races to explain exactly in what convoluted way this series of events connect to one another, losing even the charm of the first half. Of course, Madame Arcana turns out not to be a crank after all, in a move that astonishes the Doctor and Romana, but not anyone who has ever experienced a story with a soothsayer in it ever. From there, the villains (whose titular “stealing” is revealed as incredibly underwhelming) explain their complicated backstory to the Doctor and Romana, who then defeat them in the usual fashion. The ending tries to be melancholy, with so many guest characters dead, but given the sheer number of them introduced in such a limited time, it’s hard to care about any of them. It was a delight to hear Mary Tamm, of course, but the plot of her return was so tedious and nonexistent that there’s not much to sustain attention. And some of the elements introduced early on don’t even amount to anything; why did the Saiph paint animals from their home planet on a cave wall for curious spelunkers to find, anyway? A disappointing return for a much-loved character. 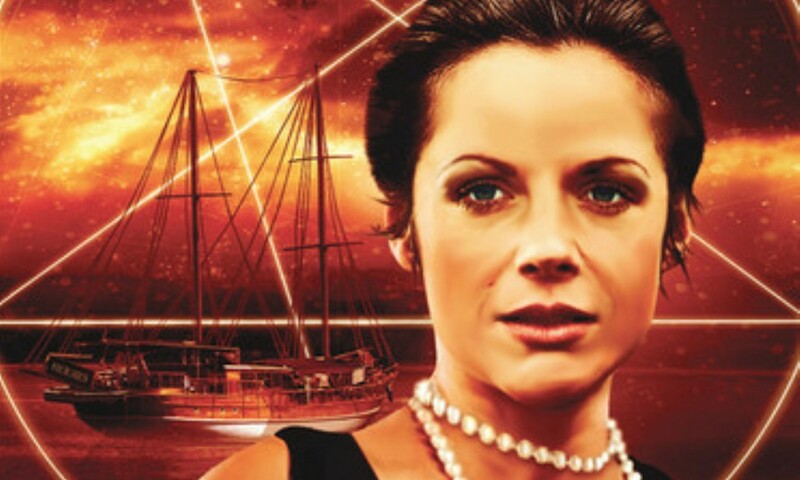 The Stealers from Saiph (by Nigel Robinson; starring Mary Tamm) was released by Big Finish Productions in June 2009.